Network Lock (aka. carrier lock or sim-lock) is a special type of lock on mobile phones that bind a particular handset with their network, rendering the owner unable to use the handset with other network providers. This is also the reason why the carriers provide phones for cheap, while the same cost more than double when bought a unlocked version (from other stores). So, at one point or other everyone needs to get out of this restriction, either you're fed with the huge bills your carrier is charging you and want to switch to another carrier to cut down your bills or for other reasons or you simply want to avoid the huge roaming charges that can be incurred if you are planning to go out of you country for some whiles, there'll be the need to (network) unlock your handset. Hence, to help you do just that with your carrier locked Samsung Galaxy Mini GT-S5570 smartphone, in this article I'll detail a easy and comparatively safer method to successfully unlock your android powered galaxy mini or pop smartphone. However, before trying the tutorial below, it is recommended that you ask your network operator for the sim unlock code, in most cases they will provide you this code (after you've been with contract to them for some while). If you're not provided with the code, then it's recommended that you follow the instructions below to unlock your galaxy mini s5570 smartphone. Galaxy Mini handset : This is your Samsung galaxy mini gt-s5570 smartphone that needs to be unlocked. If you are unsure that your phone is network locked or not, then dial *#7465625# in your keypad to see if you are locked to any network or not. 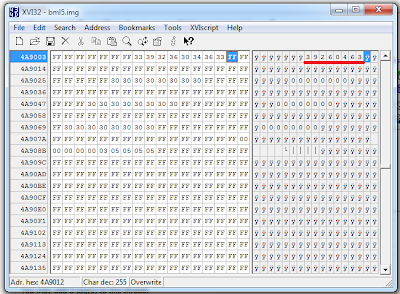 Hex Editor app : This app will be used to edit the bml5.img file that we'll extract from your handset and look for the unlocked code on it. xvi32 is a easy to use simple software for windows PC that'll let you do this with ease. bml5.img : This is the bml5 partition of your galaxy mini handset that we'll be extracting shortly (see detailed procedure below on how to get this file). This file contains your unlock code and we'll be looking for it using xvi32 app. 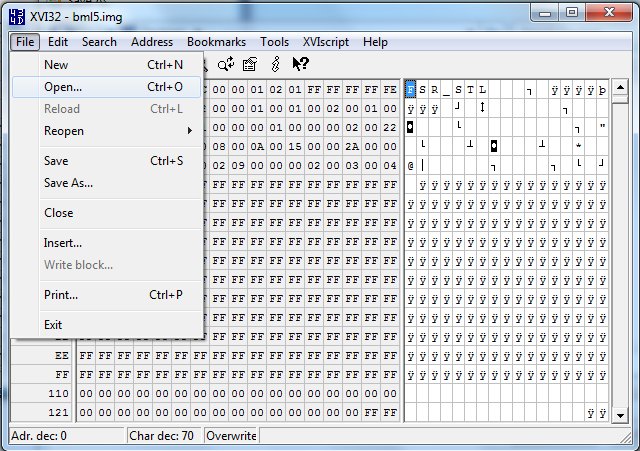 Hex-Editor-xvi32.zip : A simple hex editor we're going to use in this process. You can use any that you prefer. Extract the bml5 partition from your handset. Make sure you've adb drivers installed on your handset. 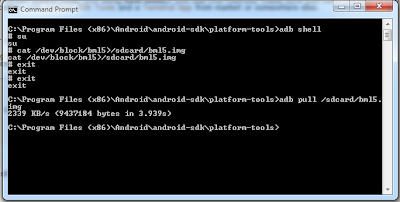 If not you read through this article to download and learn the basics of using adb. Make sure USB Debugging is enabled on your handset. To enable it go to Settings -> Applications -> Development and check USB Debugging option. Run command prompt on your PC. To do so, type command or cmd at Run prompt. Now browse to the folder that contain adb tools (adb.exe) using cd command and type the following commands. Here's a short explanation of what we did above. We used adb shell to get to the device's terminal and then obtain root access using su command. Then using cat command to put all the files in the bml5 (It's pronounced BE-EM-EL-FIVE) partition (which lies in /dev/block/ directory in galaxy mini) and put them in a image file named bml5.img in sdcard. Finally, we pulled the file to your PC for further processing. ADB Commands to extract bml5 partition and get it to your PC. That's all. Close command window and follow the instructions in next step. Now that we've obtained the file that contains the unlock code for your handset. All we have to do is look for it. 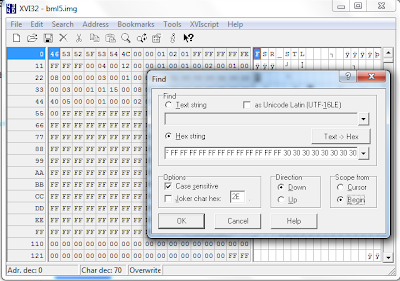 Follow the instructions below to find the network unlock code using the hex editor from above. How to get the unlock code for your galaxy mini s5570 handset? 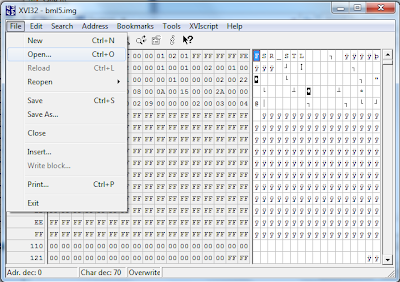 Download and extract the xvi32 hex editor app from above. Now run the xvi32.exe app. Press Ctrl + O (or, Go to File Menu and then select Open ) and load the bml5.img file that we downloaded from your phone in the previous step. Open bml5.img using File > Open menu. Now go to Search Menu and select Find (or press Ctrl + F shortcut) and look for the following HEX string. Make sure to select Case Sensitive in Options, Down in Direction and Begin in Scope from fields in your search. (see image below). 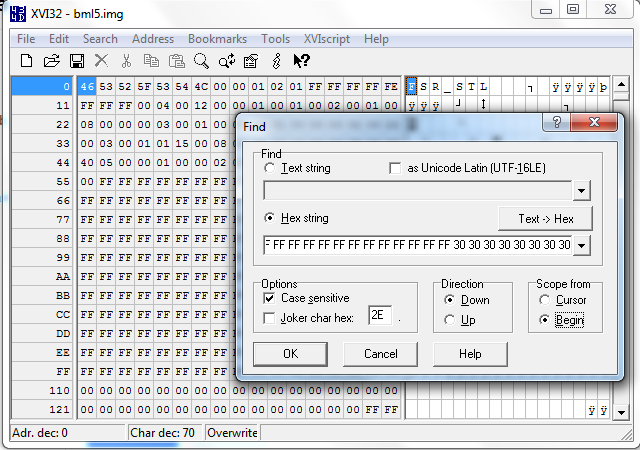 Search HEX string using XVI32 Hex editor app. 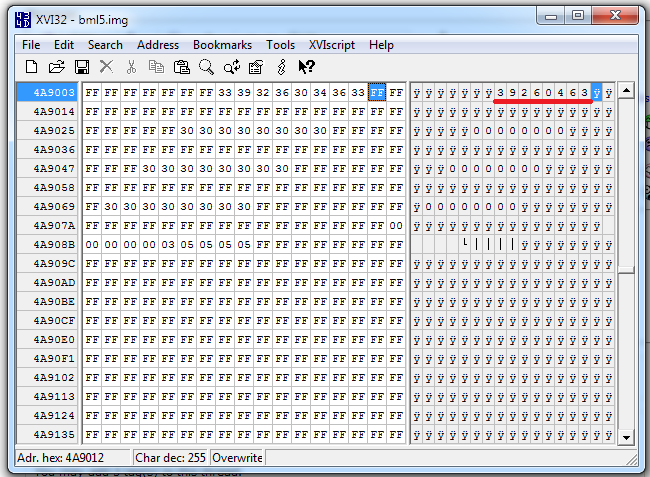 Now keep searching by pressing F3 (or selecting Find again down option in Search Menu) until you find your eight digit unlock code in plain text surrounded by unknown characters at the right half of the hex editor app window (see image below). It might take your three to six searches (F3) to find the code. That's all. Now that you've got the unlock code, note it down somewhere on your PC or a paper for later use and close everything else. Now that you've the code, you can simply unlock your handset by inserting a foreign sim card (i.e. sim card from other carrier or provider) and when it pops for unlock code just put the network unlock code that you got from above in the fields and you should be able to use the new sim card. That's all with unlocking your galaxy mini gt-s5570 smartphone. Please, note that this method is found to the working on other similar handsets like galaxy ace gt-s5830 and galaxy i5500. Also, while unlock code can be found in custom roms too, you can unlock the handset while running a custom firmware as the sim unlock dialog is removed from such roms and you won't get prompt to put in your unlock code.So, it is recommend that you flash a stock firmware while trying this out. However, stock based roms like emanoN might still popup the window to insert unlock code when you boot your handset with a sim from different carrier. Many thanks to the xda-developer member AlkaDragos for sharing this working method with us. You can find more information at the original thread. If there are any doubts regarding the steps above then feel free to ask at the comments below. Happy unlocking and happy roaming!